Anthony and Joe Russo direct the biggest ever reunion of Marvel superhero characters. Like your superheroes super-sized? This is as close as you will come to it. Avengers: Infinity War is a coalescing of a decade of Marvel mania. It’s like Comic-Con in space, with various members of the Marvel family – old and new – united by a common enemy. The Avengers have disbanded, some ridden by guilt, some sulking, some torn apart by infighting and others lost in unknown planets. Tony Stark (Iron Man, played by Robert Downey Jr) is not on talking terms with Steve Rogers (Captain America, played by Chris Evans); the romance between Bruce Banner (Hulk, played by Mark Ruffalo) and Natasha (Black Widow, played by Scarlett Johansson) has been nipped in the bud; Thor (Chirs Hemsworth) is still searching for a weapon after his hammer got damaged and Peter Parker (Spiderman, played by Tom Holland) is back in school like any teenager should be. 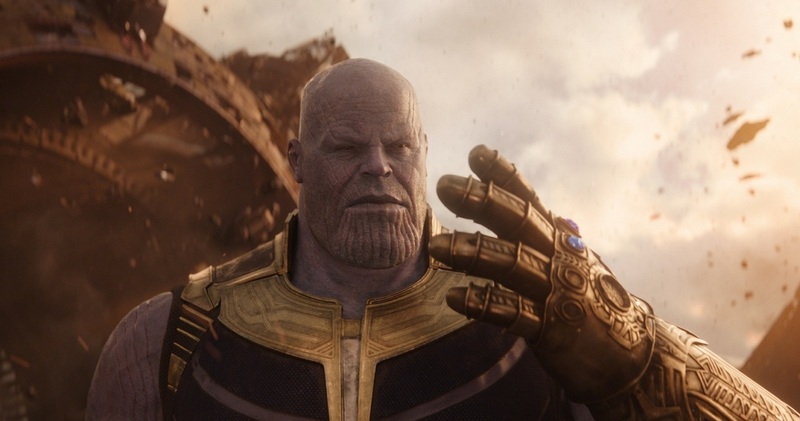 The towering Thanos (Josh Brolin), first introduced to audiences six years ago, gets centrestage this time. He’s a pale shade of purple with a ridiculously square jaw and a bizarre motivation for committing genocide (the world is overpopulated). Thanos is, however, not a one-tone villain. He brings gravitas and thoughtfulness to his evil deeds, which are less motivated by selfishness than by twisted altruism. Josh Brolin’s acting and mo-cap technology synergise to present a villain whose stony exterior shows some unexpected cracks. As the Avengers scramble in face of this new enemy, will the joint venture with the Guardians of the Galaxy (Chris Pratt, Dave Bautista, Zoe Saldana and voices of Bradley Cooper and Vin Diesel) prove to be adequate? On this inter-galactic space odyssey, there will be blood as Thanos crushes anything (or anyone) that interrupts his quest to acquire six powerful infinity stones. Should he be successful in finding them all, his powers will be infinite. The whereabouts of some of these stones is no secret – Doctor Strange (Benedict Cumberbatch) has one and Vision (Paul Bettany) has another. The others are scattered around various planets. Over a breathless 156 minutes, directors Anthony and Joe Russo introduce one superhero after another. Characters make quick entries and, sometimes, equally quick exits. They slip in enough fan-references, irreverent jokes and unexpected altercations to have their devotees squealing, gasping, grimacing and sinking into their seats in shock. Having journeyed with many of these characters before, we connect with their highs and lows, whether it is the mentorship between Peter Parker and Tony Stark or Bruce Banner’s anger management issues or some promising love stories. Old-school Thor’s interaction with the rough Guardians provides some of the best laughs, with Thor referring to Rocket (voiced by Bradley Cooper) as Rabbit and saying that he speaks Groot because it was an “elective subject” on his planet Asgard. Peter, the youngest member of the team, is the one with most affection for 1980s movies. Costumes and hairdos have been updated and refreshed, and the ending is a wide set-up for a sequel expected in 2019. 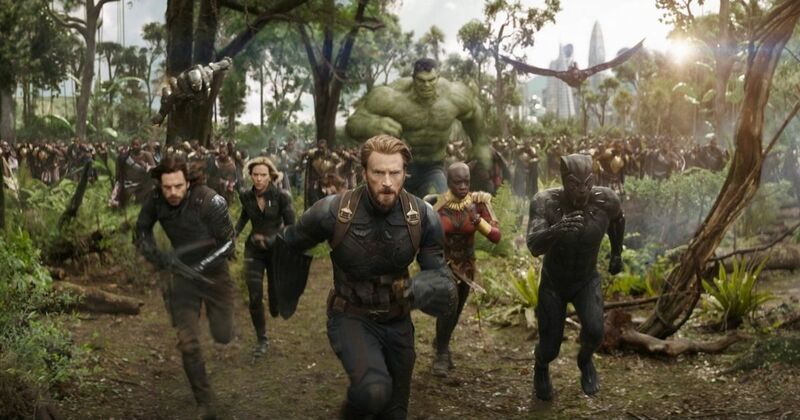 Avengers: Infinity War is relentless action and entertainment, packed with super-heroes, super-heroines, superpowers and a super cliffhanger. Thanos (voiced by Josh Brolin) in Avengers: Infinity War. Image credit: Marvel Studios.